See what you love. Love what you see. We do more than craft lenses. We help thousands of people everyday take care of their eyes with eye glasses, frames, contact lenses, and accessories. We provide a convenient way to purchase designer frames and sunglasses, order contacts or get advice on what glasses frames fit your face best; offering discount glasses and frames to fit your budget and your style. Perhaps helping someone find their new favorite designer frames, or adjusting the prescription in a set they already have. Whatever the need, LensCrafters is dedicated to providing the eye glasses, designer frames, discount lenses and general expertise you need to see life fully. It's what we do. And we do it gladly. 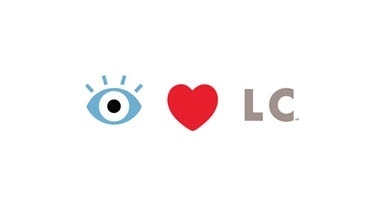 Because LensCrafters is the company that loves taking care of your eyes. See what you love. Love what you see. LensCrafters. No reviews were found for Lenscrafters.